More and more, it seems like cider is going to be the next serious wave in the brewing industry. We’ve got bars dedicated to it, beverage managers giving over taps to it, and a whole bunch of local producers putting out some excellent product. 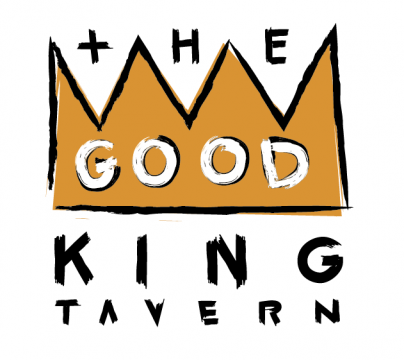 And now, there’s also this: On Wednesday, February 1, the crew at the Good King Tavern will be hosting their first cider pairing event. A “Cider Supper,” they’re calling it, and with it will also be the debut of the newest local cidery, Hale & True. Risa Zeller and Kerry McKenzie are the (soon to be) husband-and-wife team behind the Philly based Hale & True, and they’ll be there at the dinner, offering guests samples of their product and trying to meet as many cider nerds as they possibly can. Meanwhile, those with reservations will be offered 6 courses by Good King’s chef, Nicholas Bazik, paired with 6 ciders coming from the Loire Valley, from Pennsylvania’s Bullfrog Brewery, from Downeast Cider in Massachusetts and elsewhere. So why are we talking about this so early? Because reservations for the 6-course, 6-cider supper are already being taken and they’re going fast. So if you’re down, it’ll cost you is $55 a head. Dinner starts at 7:30. And you can make your reservations by calling the Good King Tavern at 215-625-3700.